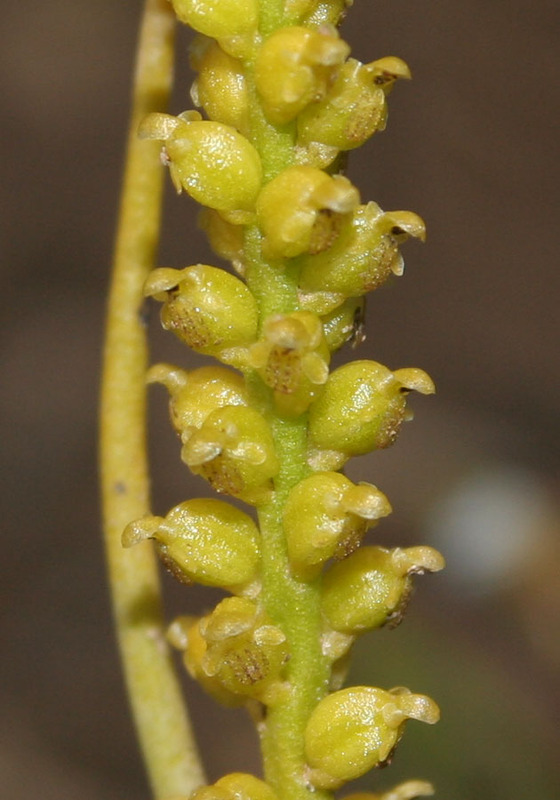 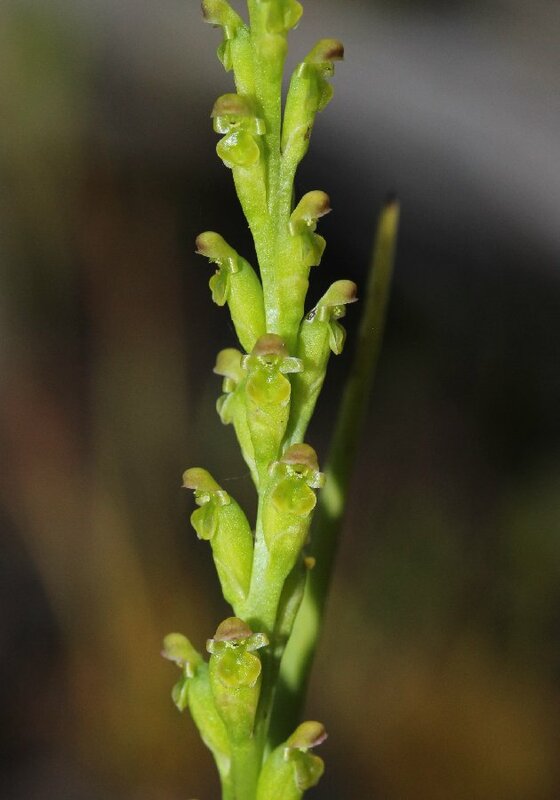 These orchids have numerous tiny flowers that are so small that magnification is needed to see them in any detail. 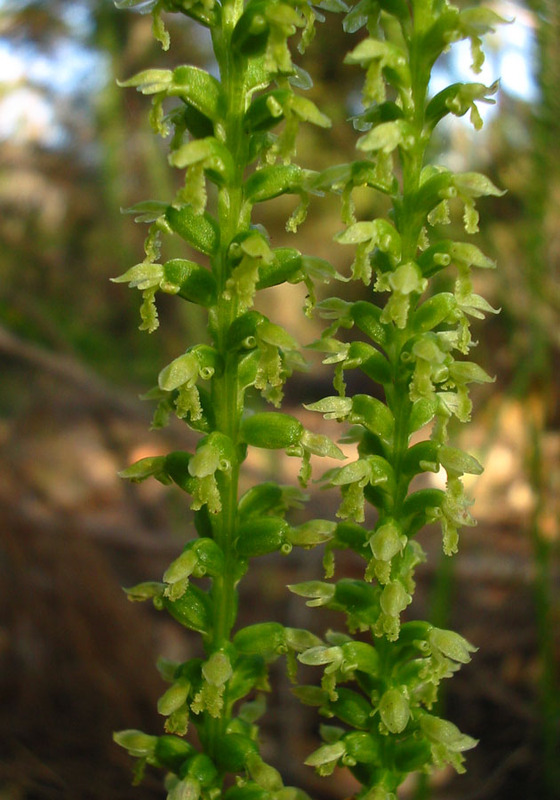 They are mostly green in colour and are easily overlooked. 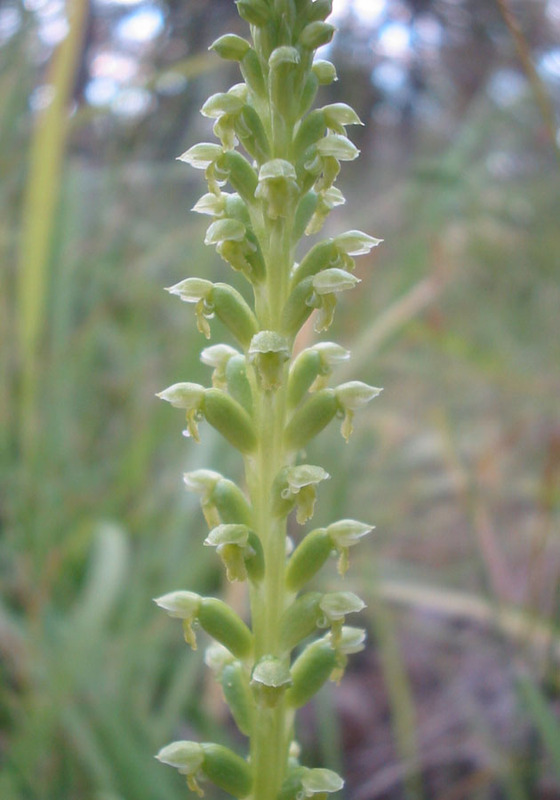 The Common Mignonette Orchid is widespread and has in places recolonised built up areas where it can be found in garden beds. 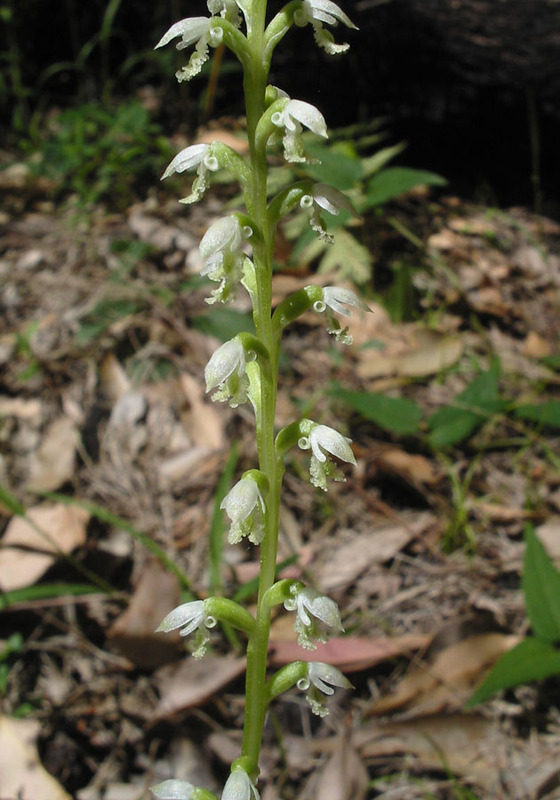 The White Mignonette Orchid is one of the more distinctive species with frilly white flowers. 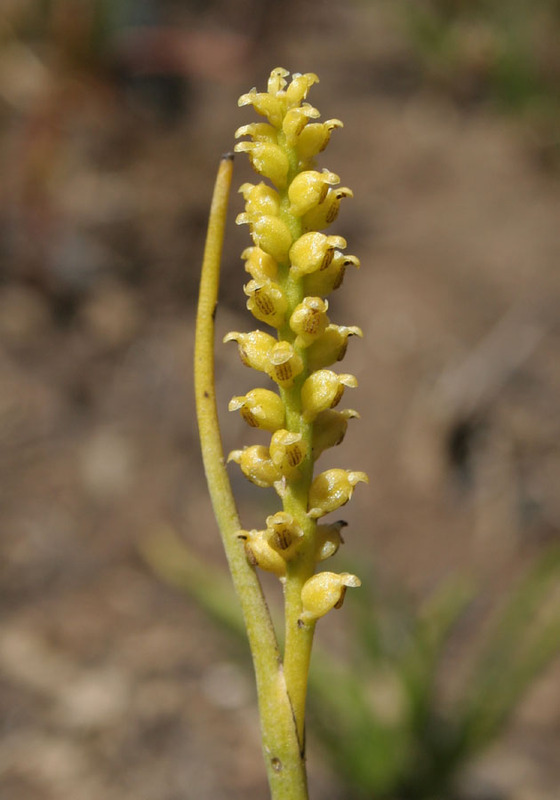 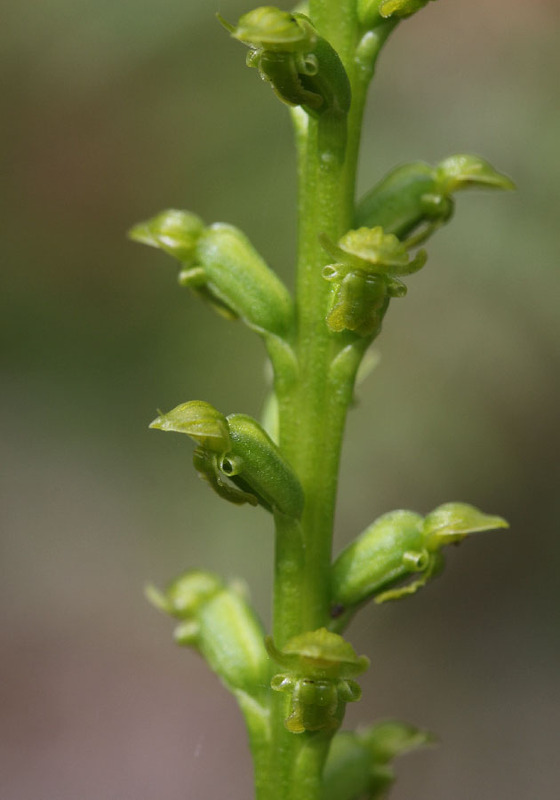 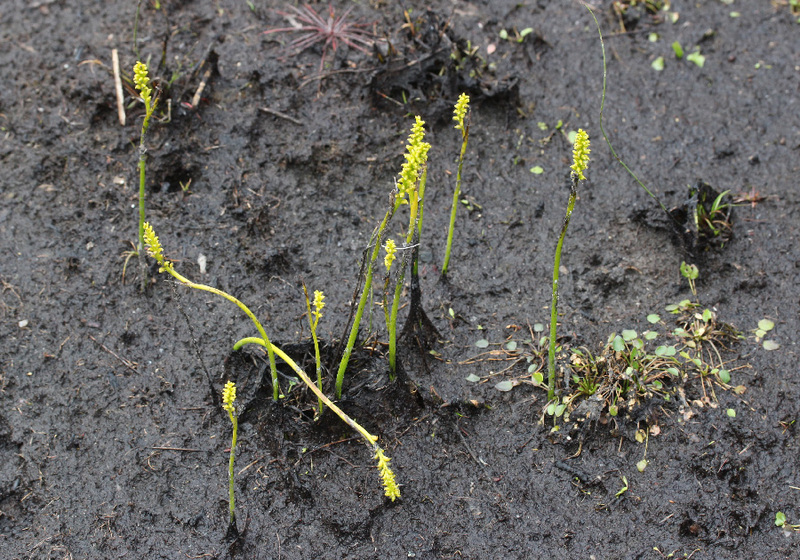 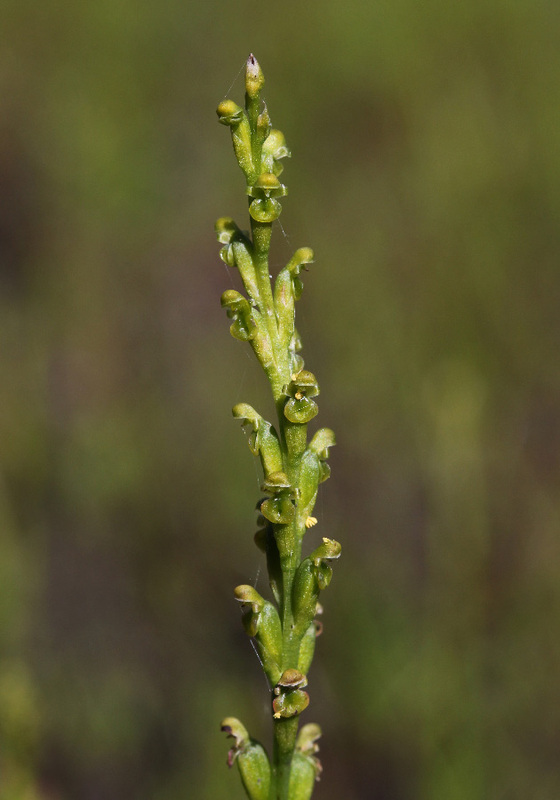 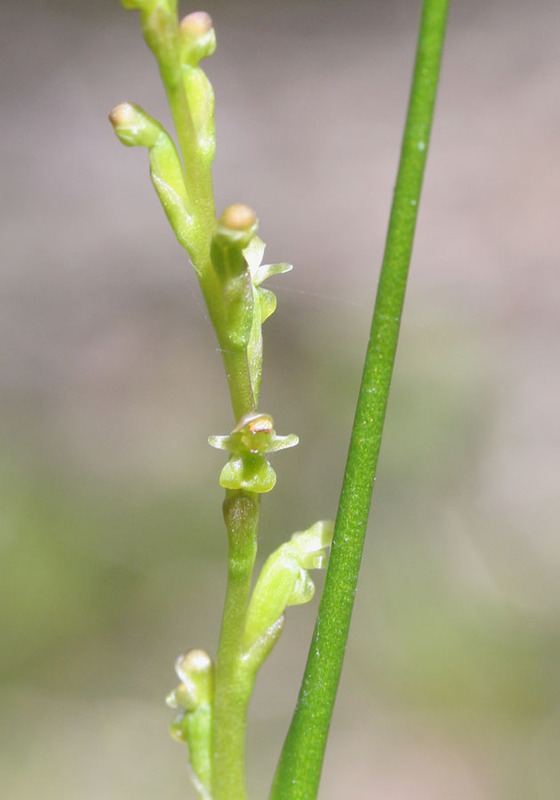 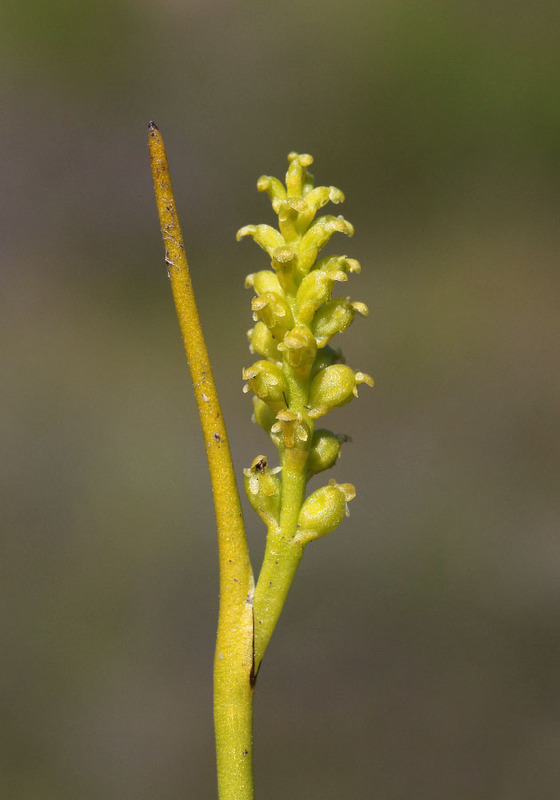 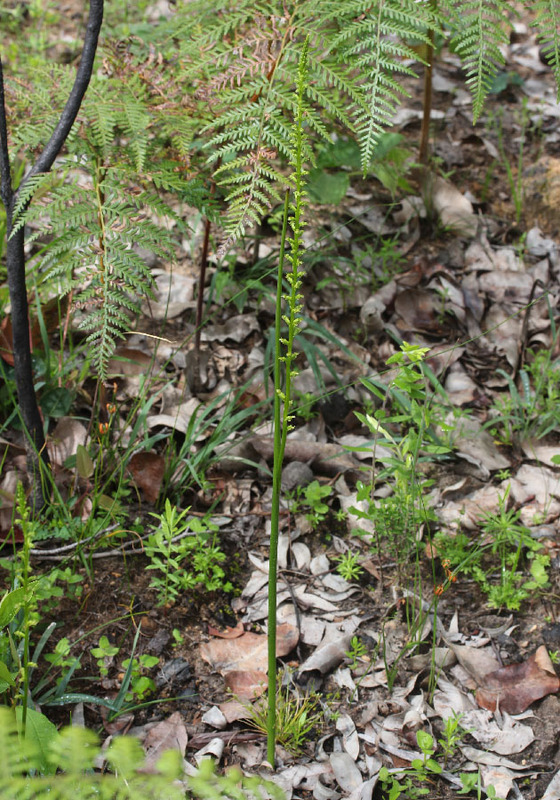 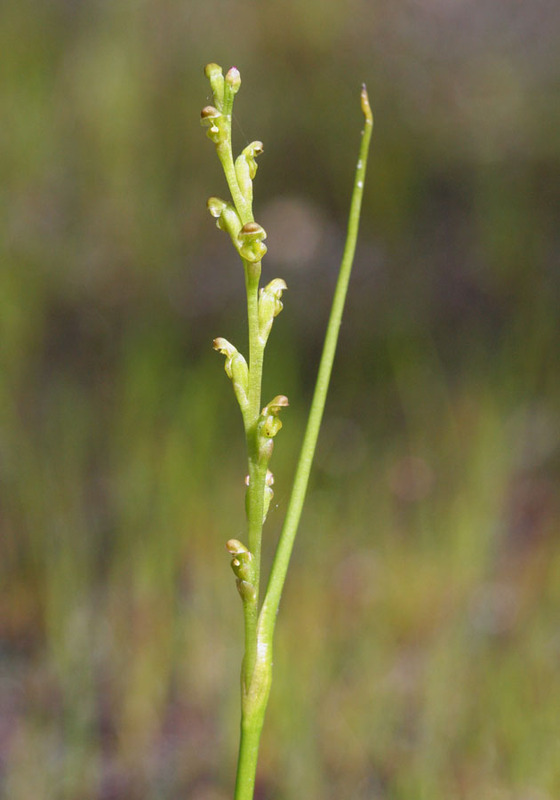 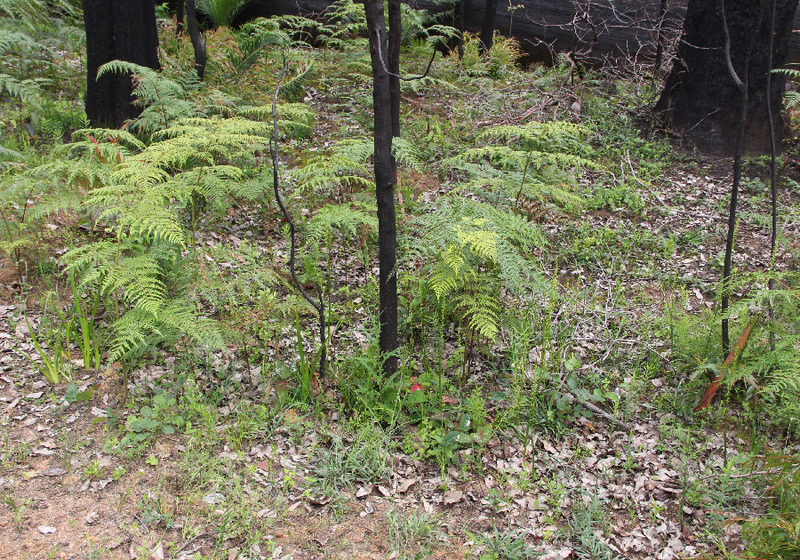 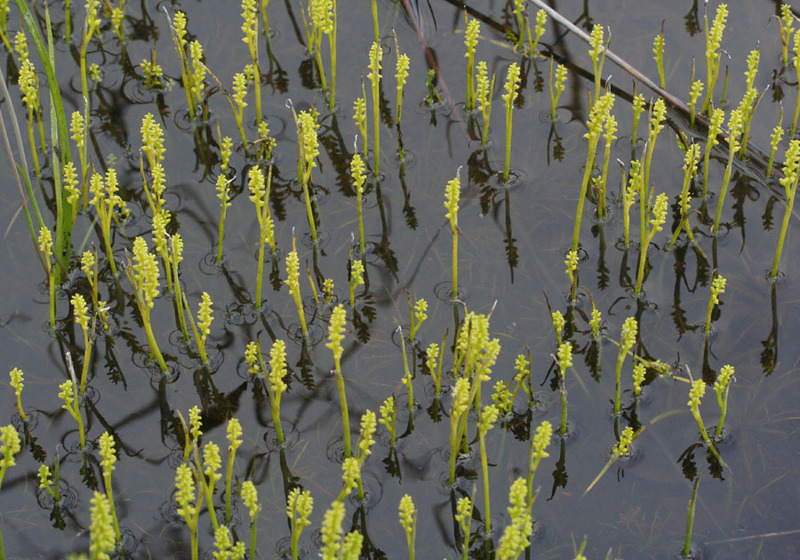 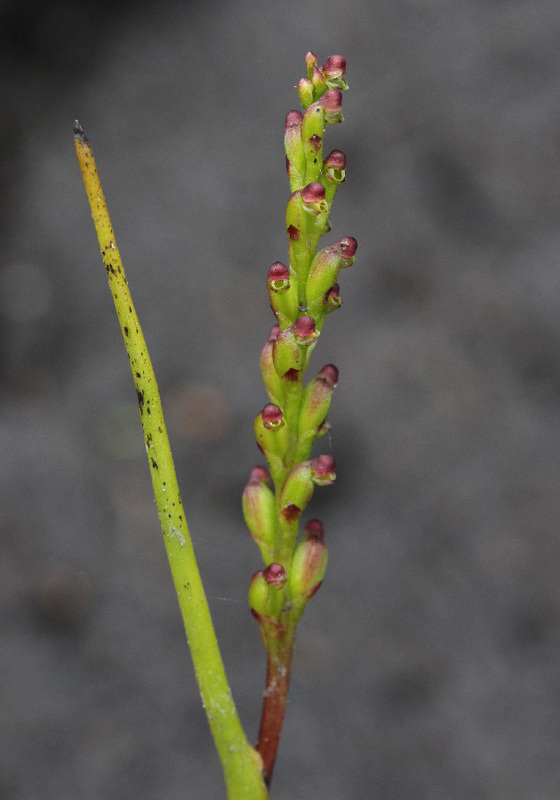 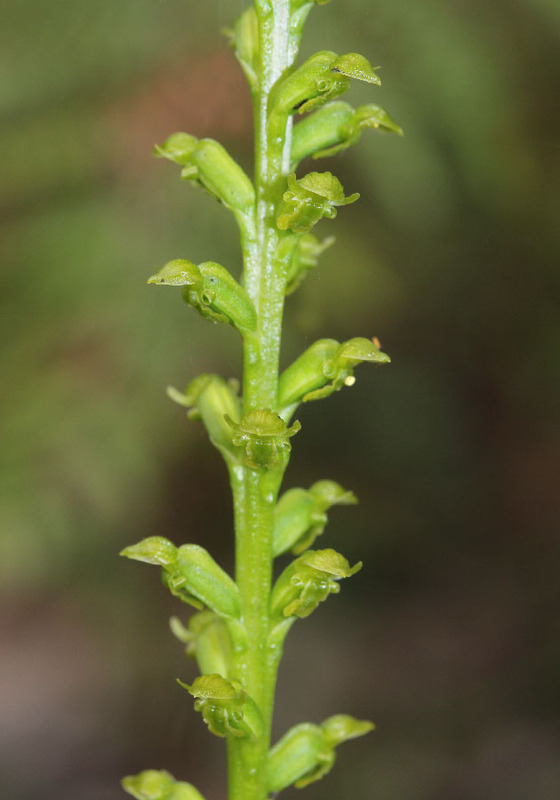 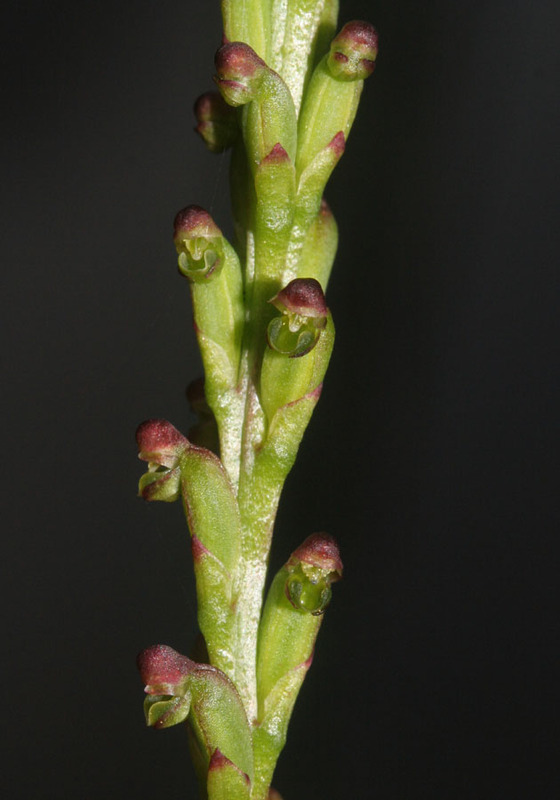 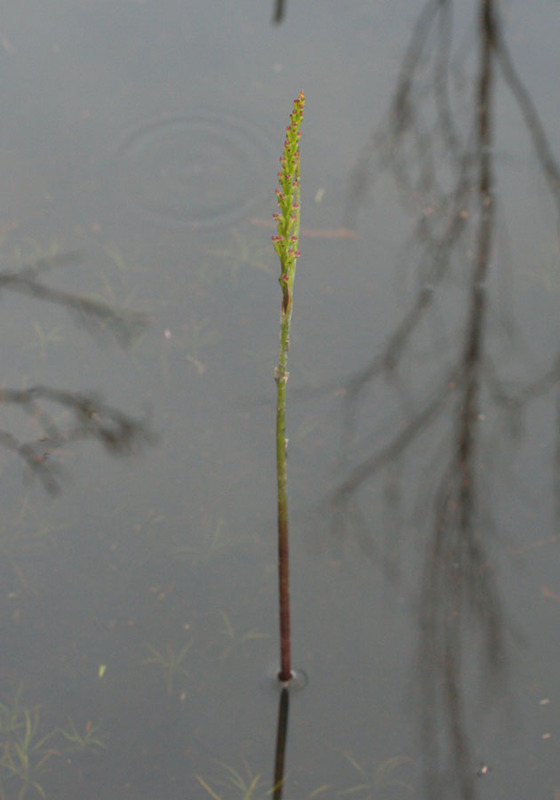 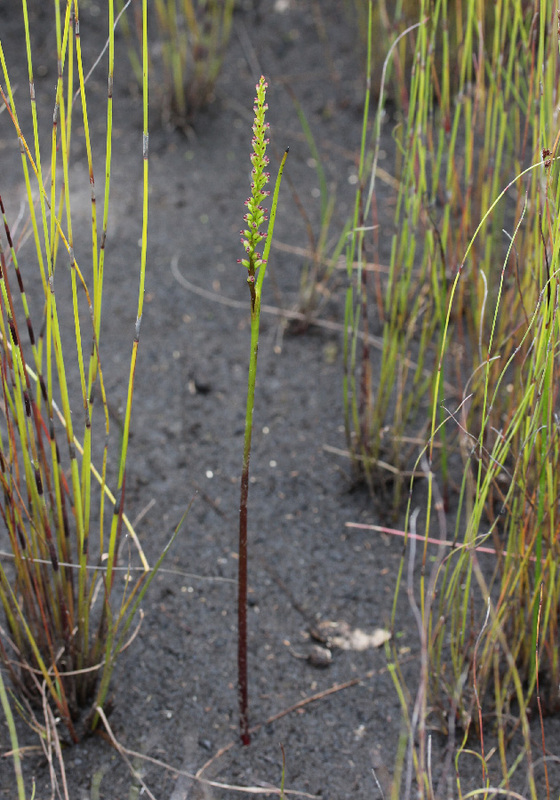 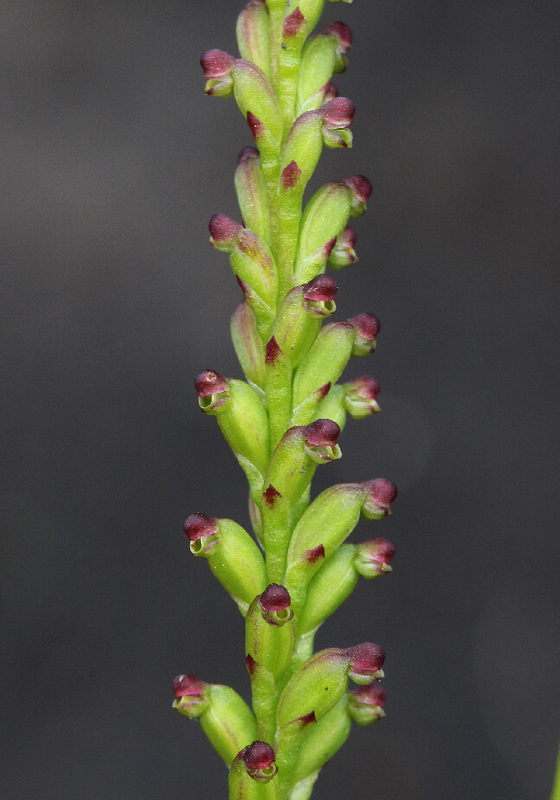 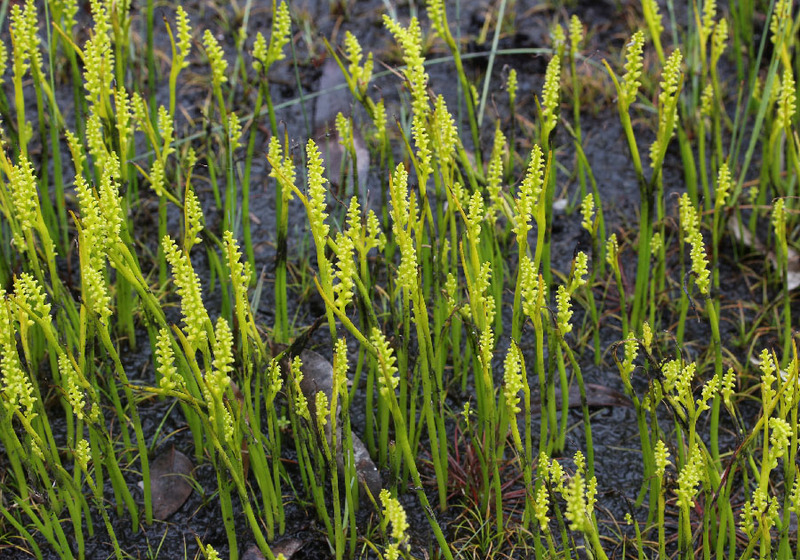 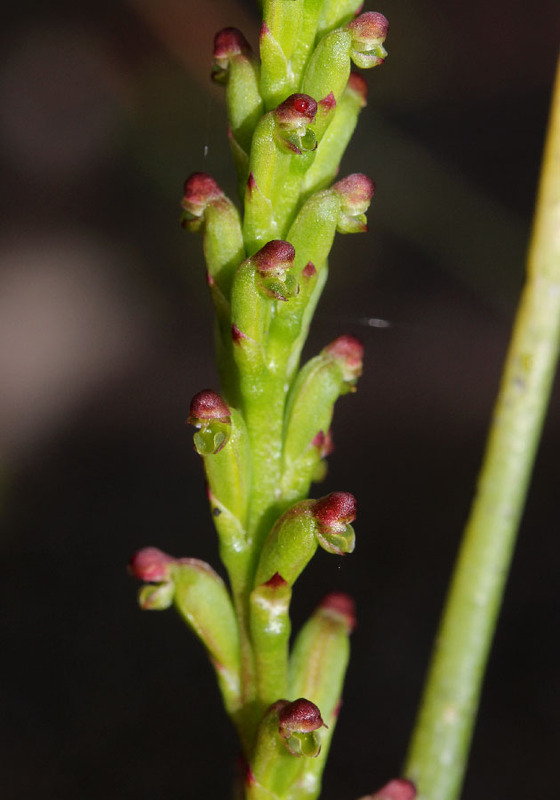 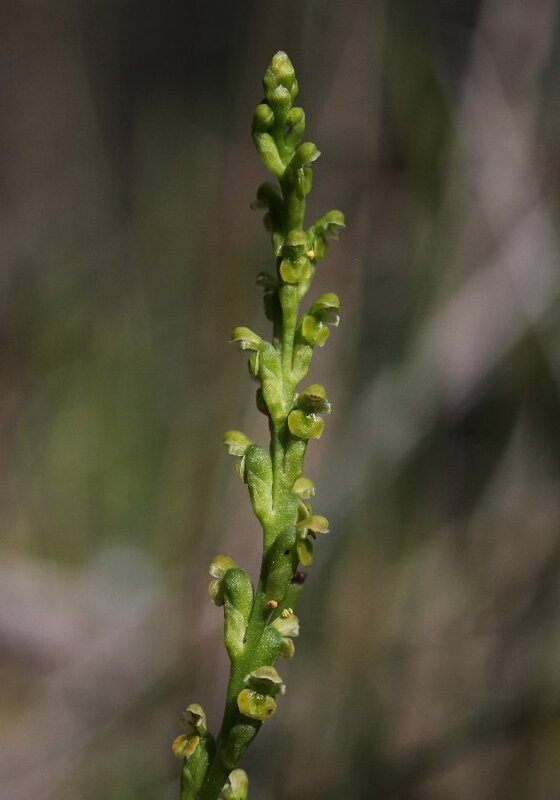 The Swamp Mignonette Orchid has very tiny flowers and is often found in huge numbers in wet areas following bushfires. 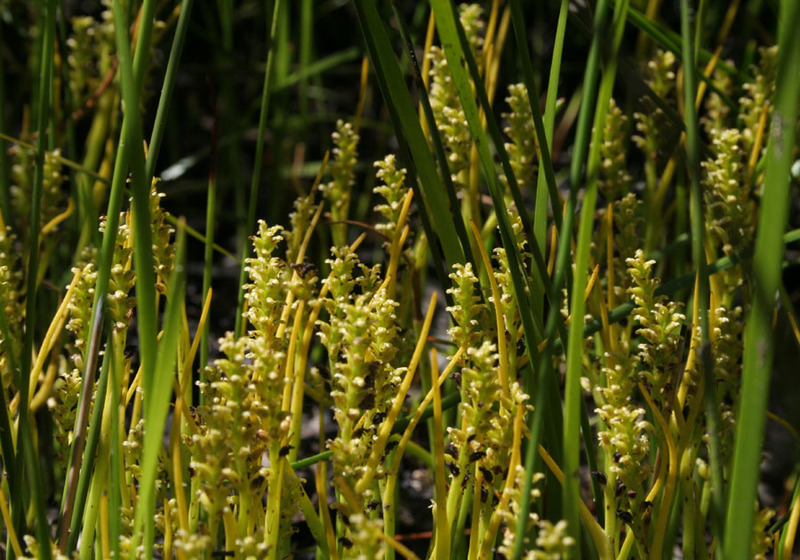 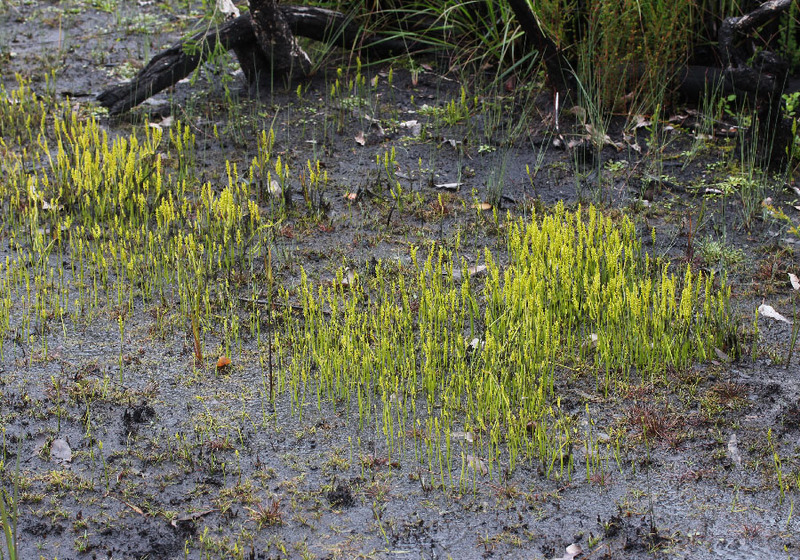 It can be found on granite outcrops and also in swamps where it can be completely submerged. 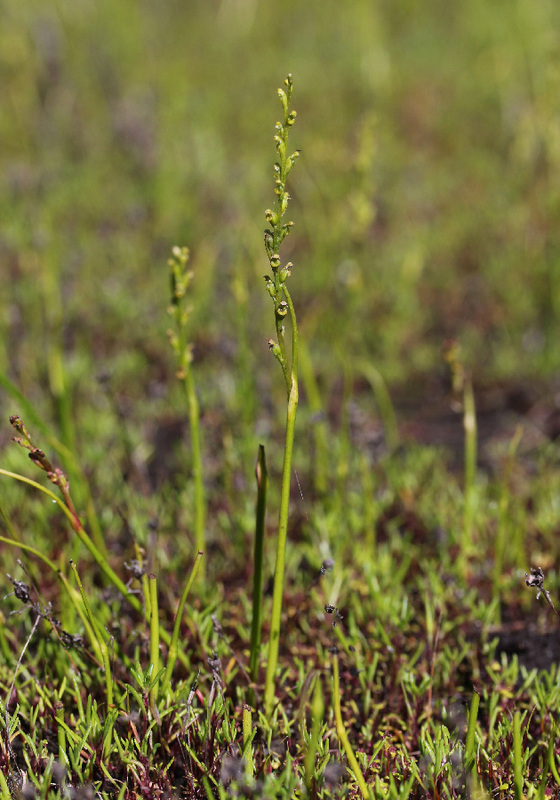 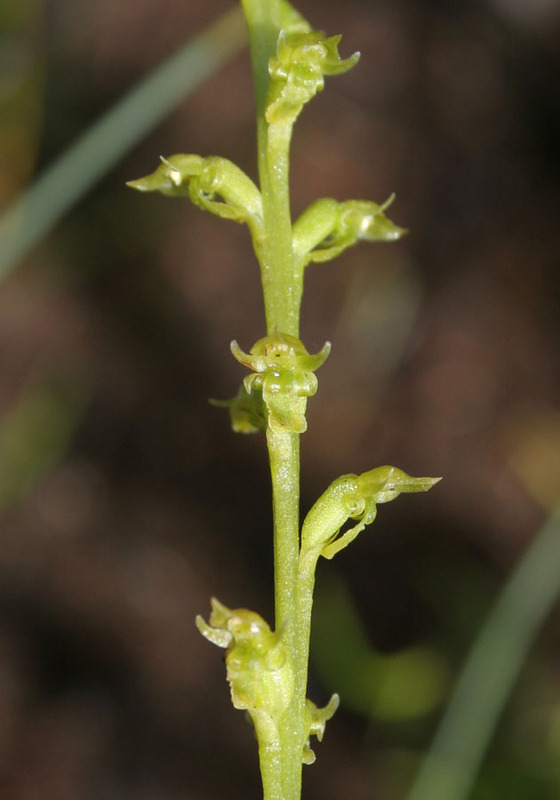 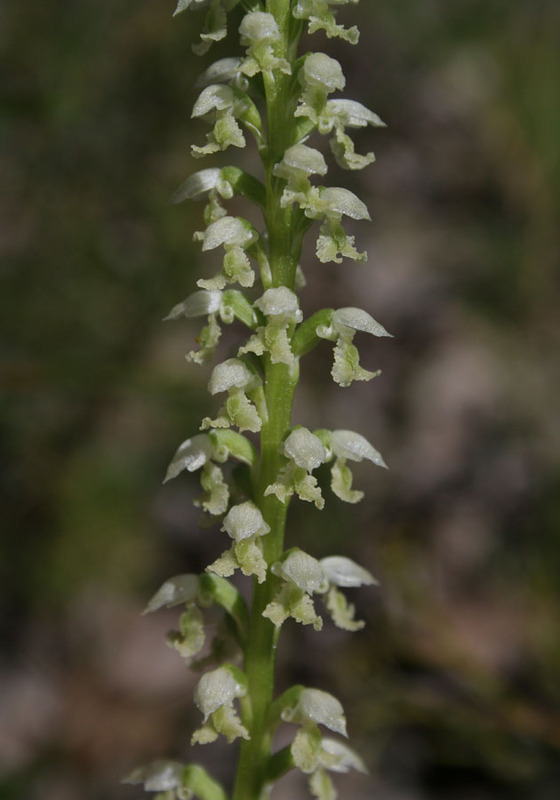 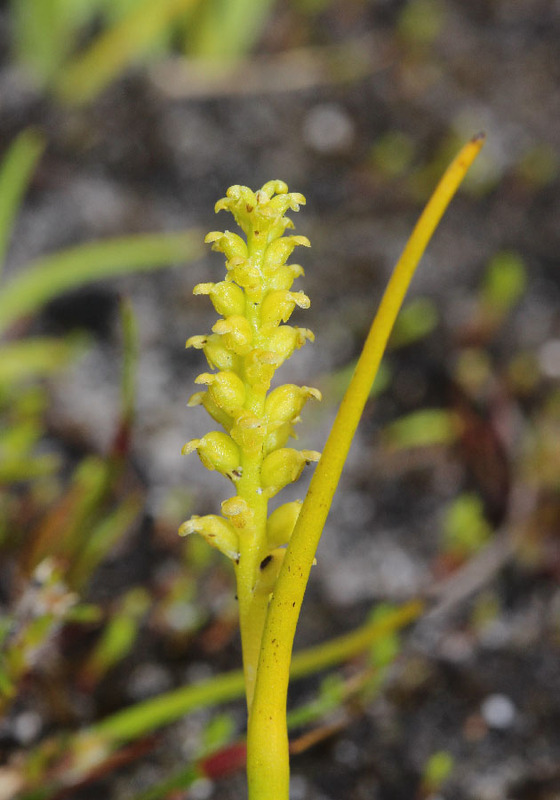 The Dark Mignonette Orchid has a distinctive oval shaped labellum and is found in swampy ground. 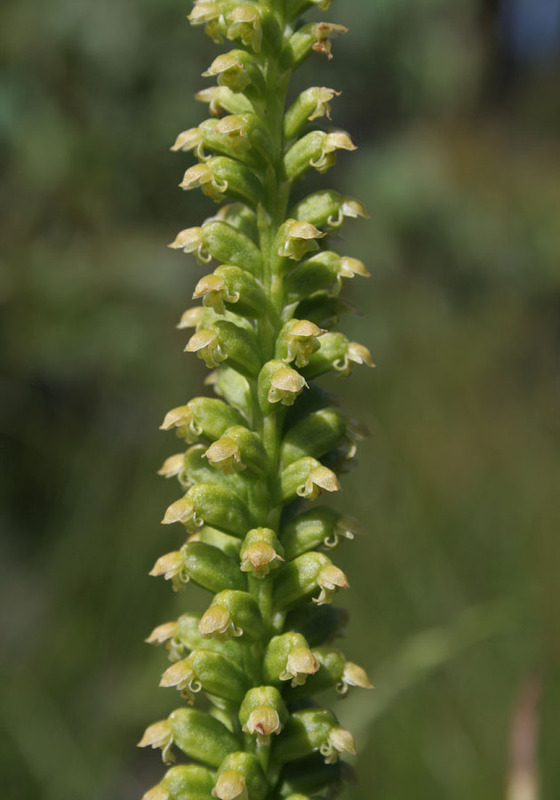 The Sweet Mignonette Orchid is distinguished by its well spaced flowers. 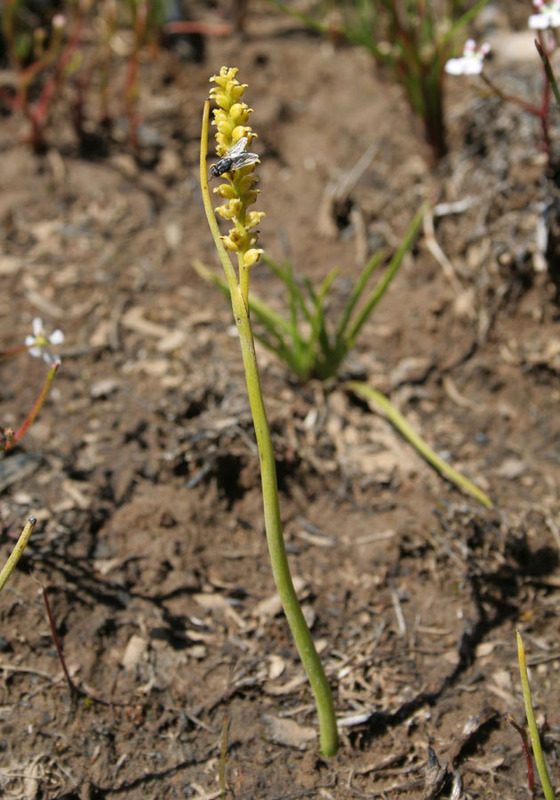 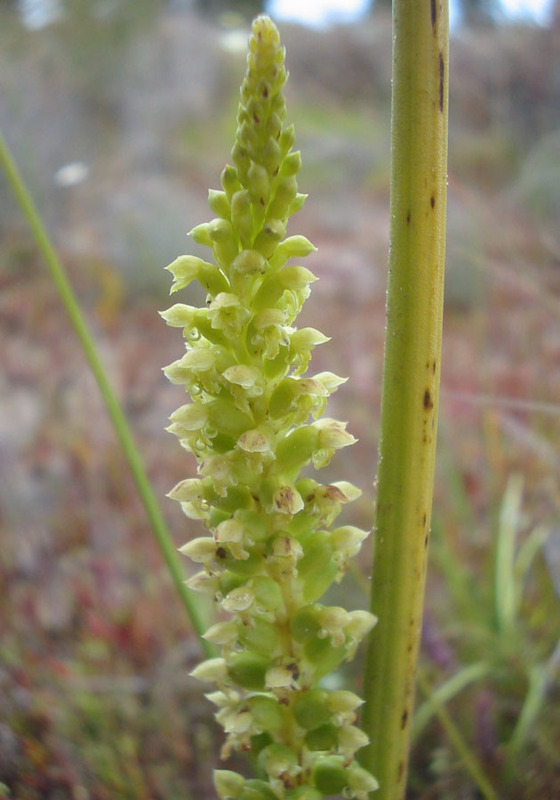 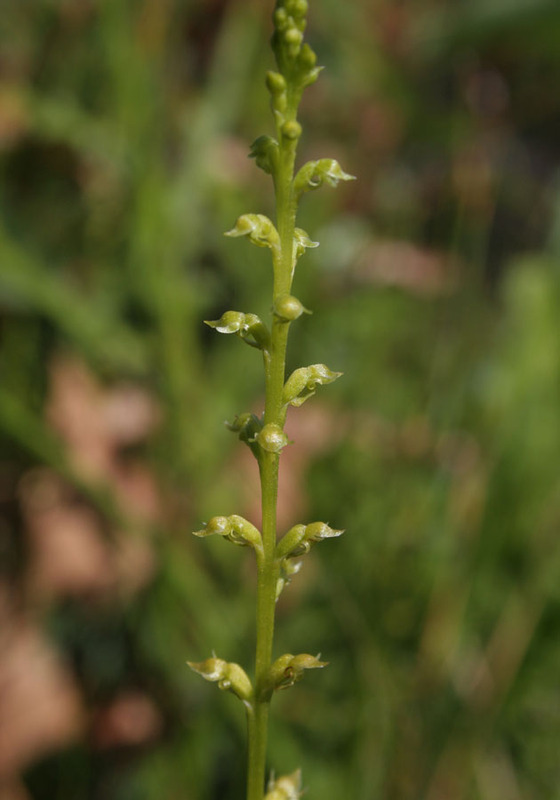 The Cupped Mignonette Orchid is distinguished from the similar dark Mignonette Orchid by its inward facing petals and sepals.